They must've spent tens of dollars on this. Why See Mystery Science Theater 3000 Live? Are you looking to board the Satellite of Love once more for a riff-fest experience like no other? Then seek no further, for the Mystery Science Theater 3000 crew are bringing their unique comedy show to a theatre near you this year. Join Jonah, Tom Servo, Crow.T Robot and Gypsy for a screening of fan favorite Eaargh and also a super secret movie, never before featured in the series! 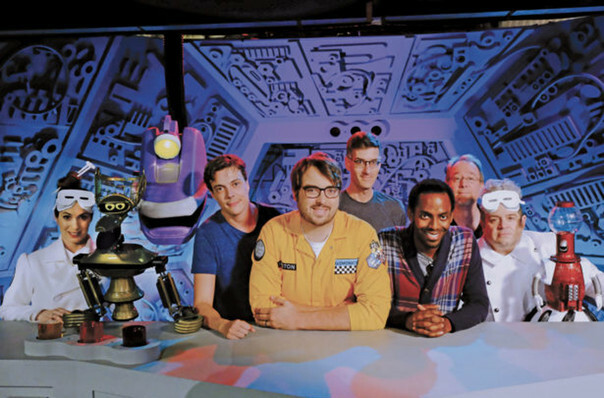 First created in 1988 by Joel Hodgson, MST3K is ostensibly the story of a janitor who has been kidnapped by two mad scientists and forced to watch cheesy Sci-Fi B movies aboard their spaceship, Satellite of Love. To stave off the boredom of this existence, he creates himself a plethora of robot pals to watch along with him and create new plotlines and scripts as the movie plays. Sound good to you? 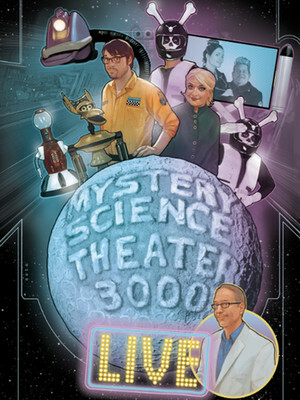 Share this page on social media and let your friends know about Mystery Science Theater 3000 Live at Riverside Theatre. Please note: The term Riverside Theatre and/or Mystery Science Theater 3000 Live as well as all associated graphics, logos, and/or other trademarks, tradenames or copyrights are the property of the Riverside Theatre and/or Mystery Science Theater 3000 Live and are used herein for factual descriptive purposes only. We are in no way associated with or authorized by the Riverside Theatre and/or Mystery Science Theater 3000 Live and neither that entity nor any of its affiliates have licensed or endorsed us to sell tickets, goods and or services in conjunction with their events.